ALC Relay Switches are used for on/off control of lighting/power loads (i.e. fluorescent lights, ceiling fans, wall receptacles, etc.). Advanced Lighting Control (ALC) is intended for installation in homes, which have been pre-wired for installation of ALC Lighting. The Stewart Electronics (previously owned by OnQ Legrand) Advanced Lighting Control (ALC) family of products provide enhanced lighting control with superior reliability at a low cost. The ALC control modules offer architectural grade lighting control as well as control of appliances and AC outlets. ALC is ideal for new residential and light commercial construction, including single family homes, town homes, and apartments where low cost and “hardwired” reliability are desired for control of lighting and appliances. ALC control modules include four types: Relay switches (for on/off lighting and power control), Dimmer modules (for lighting level control), Auxiliary switches (for multi-way control of Relay and Dimmer modules) and Program switches (for program control of lighting, appliances, outlets, light groups and house modes). 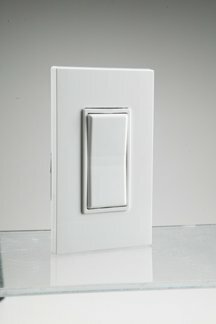 ALC Dimmer modules provide true multi-way dimming control. 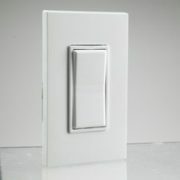 ALC Dimmer modules include an innovative “filament saver” feature which provides prolonged bulb life. ALC dimmer modules have been designed for optimum control of the most common lighting types including incandescent, halogen and conventional magnetic low voltage. When connected to an automation system. ALC Dimmer modules provide enhanced lighting features including remotely programmable dimming and brightening rates, instant lighting level changes and programmable lighting “preset” levels. Since ALC modules support two-way communication, the press of an ALC switch can initiate other system events and macros for program control of security levels, temperature set-points, entertainment equipment settings and lighting groups. The ALC control modules are FCC, Part 15, Class B verified. ALC control modules require no special AC wiring practices. When installed as directed, ALC module installations comply with the installation and wiring practices of the NFPA 70 National Electrical Code. Special product packages are available to aid system developers and system integrators in implementing and installing ALC control modules for lighting and appliance control. The Developers and Integrators kits include technical guides, software and electronic interface module kits to facilitate system development and installation testing and diagnostics. 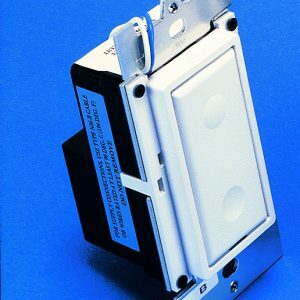 ALC Non-Automated (MANUAL) versions can only be used with Obsolete AMP or MOLEX Smarthouse system when converting to a “Lighting Only” System (no automation possible). For Smarthouse conversions where automation is desired use the NEW or REFURBISHED ALC Versions (these can be automated). DO NOT ORDER “Manual” versions if using with a Home Automation System. Lighting Hub 364677-01 ALC Branch Hub, Supports wiring distribution to remote locations up to 500 feet from the ALC lighting controllers. Supports up to 9 ALC addresses & related aux switches, fits double gang box.